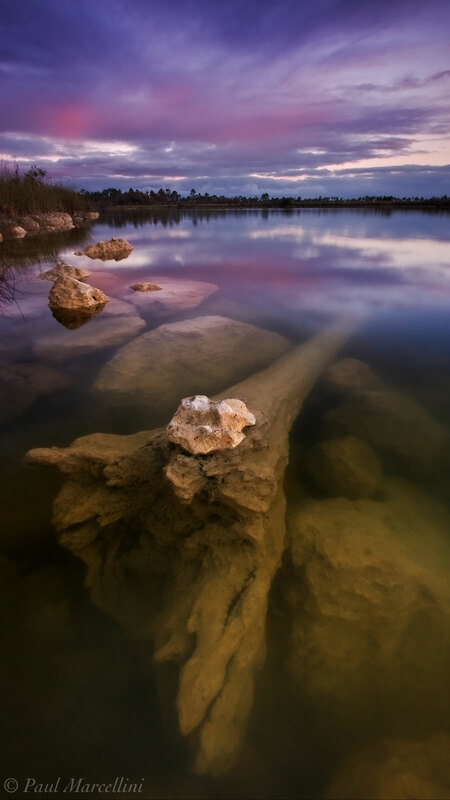 A sunken log fades off underwater and the light fades in the sky. A colorful sunset over a wonderful little lake in the Everglades. Photo © copyright by Paul Marcellini.